Describe his upbringing and education. What were the four types of plays he wrote? Where were his plays performed and by whom? Besides writing plays, what other skills made Shakespeare a "jack of all trades?" When and where did Shakespeare die? Why do we still read his works today? 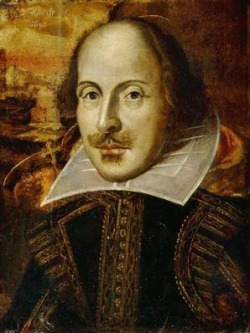 Find several famous quotations (5) that originated in Shakespeare's works. Mention the works from which they come.